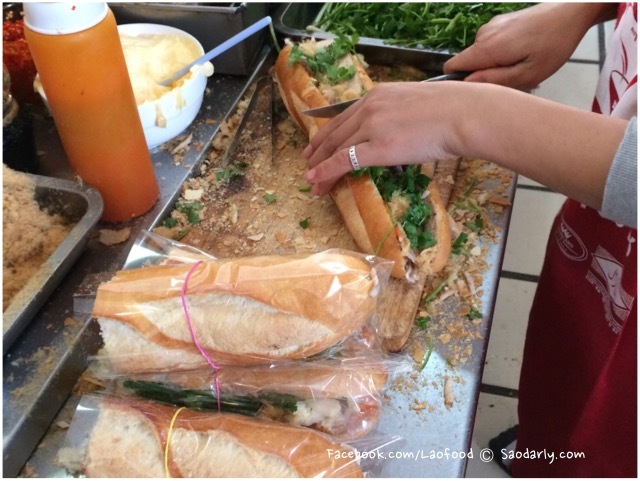 Khao Jie Pate ເຂົ້າຈີ່ປາເຕ (Lao baguette) for breakfast in Vientiane, Laos. 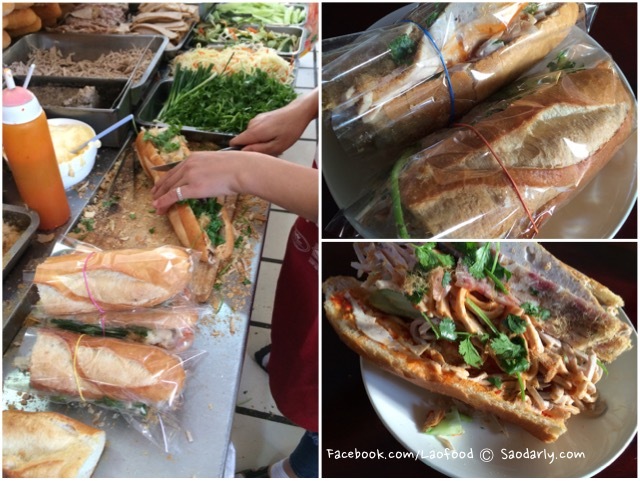 We went to our favorite sandwich and noodle shop at Ban Wattay Noi and ordered four sandwiches to feed eight people in the family. 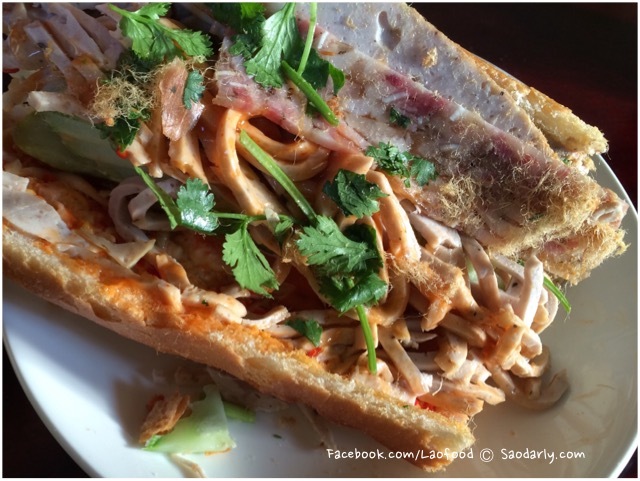 We told the girl who was making the Khao Jie Pate to start out with a mild dose of fresh ground chili pepper spread on the bread for the weak heart member of the family (those that can’t take the heat). 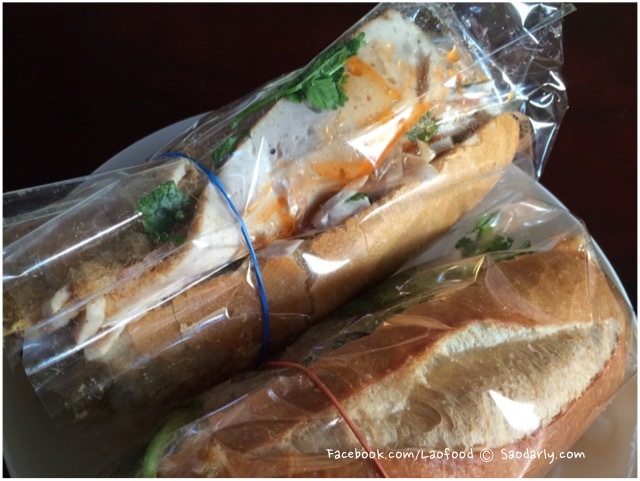 For the last sandwich, it was packed with extra fresh chili pepper to my heart’s delight.